EZ Permanent Makeup has been using and selling eyelash perms since 1995. 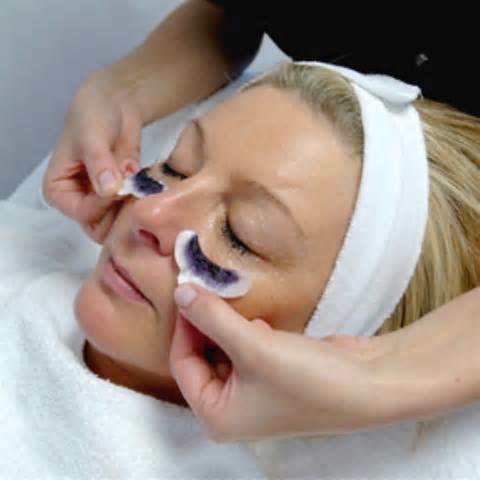 In recent years the eyelash perm service has a new identity and has become even more popular. LASH LIFTING is what it is commonly referred to. The process is the same, some slight changes in the perm rods or also known as LASH SHIELDS. EZ Permanent Makeup includes the silicon shields along with the original eyelash perm rods in 3 sizes with every one of our eyelash perm kits. This way you have the option to either use the standard cotton perm rods (3 sizes; sm, med, lrg) or you can use the silicone lash shields. The choice is yours. The end result is stunning. Create a natural lift for those otherwise straight lashes. Perfect for: active, busy, handicap, athletic, individuals or just to look beautiful 24 hours a day. This is a semi-permanent beauty treatment that lasts for the life of your lash. Our natural eyelashes shed and replenish every 90 days or 3 months. Common to reschedule your clients to come back in for new perm service every 2 months. Keeping your clients eyes always looking terrific. Get your certification in perming and tinting. The process is easy to learn. Perm rods are used to shape the eyelashes. They come in four sizes. 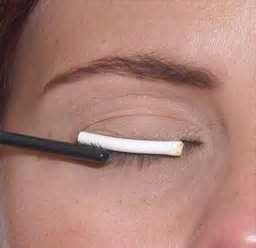 (Small, Medium, Large and now Extra Large) Wrap the lashes around the rods. Choose the correct size rod, make sure the tips of the lashes don't curl up the eye lid this is due to choosing the wrong size rod. Lash glue is provided in the kit to ensure the lashes stay adhered to the rods during the procedure. Make sure the lash hairs are wrapped straight on the rods. They will curl in the direction they are placed on the rods. Next step is to apply the eyelash perm solution or step 1 (curling process) with a toothpick or a micro-applicator so you can concentrate on each eyelash being completely covered. Be sure that you cover the lashes with solution from root to tip with enough to saturate into the eyelash medulla, this will create a really nice curl. You will see that the consistency of step 1 and step 2 is very much like canned frosting, this will help you to see that you have enough product on the lash. Cover the lash completely from root to tip of the eyelash. Allow perm solution to stay on the lashes for 10 minutes or more. After process time rinse away using a water damp cosmetic pad wiping in the direction the lashes are glued to the rod so that you do not disturb the lash from being adhered to the rod. Apply the neutralizer or step 2 (stop the curling process) 10 minute process time. 3rd step it to apply the conditioner or step 3, this process helps to keep the lashes healthy. Final step is the glue remover or step 4 is used to loosen the glue lashes away from the perm rods revealing the curled lashes. Rinse the eyes after with Saline to make sure no perm products entered into the eyes. For Detailed instructions click on the "Instruction" page. To brighten up the eyes we suggest using Lash & Brow tint. 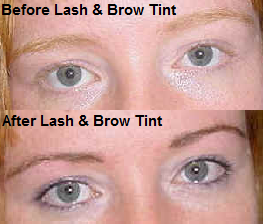 We offer a great organic line of tint that is safe for eyes and brows. Create beautiful curled lashes that lasts for months. 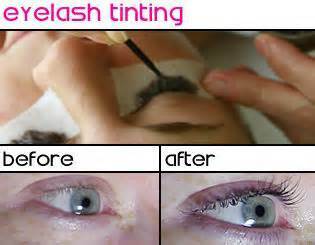 Add tinting to this service and your clients won’t have to wear mascara for weeks. Curled and Tinted!